What is a "Continuous Casting Powder"
"Continuous Casting Powder" that we produce and sell is a powdered or granular product added in the mold of continuous casting machine. Our product is divided into two brands. 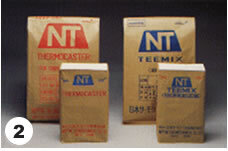 TEEMIX is a special powdered mold additive that is added to the molten steel surface when slabs are teemed. 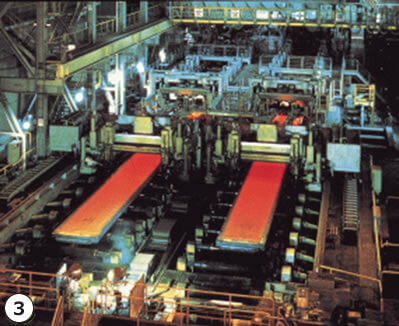 It was developed to prevent defects on the surface of molten steel. It allows stable operation during the casting process, and improves product yield. Consequently, it has been extremely popular	continuous casting, particularly for low-carbon, aluminum killed steel and fire stainless steel. This granular product reduces dust in the work environment. It also improves casting quality tremendously. It is especially good for steels that crack easily. The spherical version has a low bulk specific gravity. Inside the mold it is spreads easily and evenly and keeps temperature stable. Our product is used in a process of the continuous casting. The functions of Continuous Casting Powder are to absorb the inclusion in the molten steel, to prevent from the oxidation on the molten steel, and insulation. Furthermore, it plays as a lubricant between mold and the	molten steel. 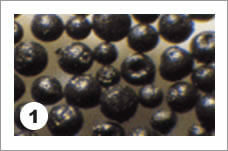 Copyright (c) NIPPON THERMOCHEMICAL CO.,LTD. All rights reserved.